Baku, Azerbaijan’s largest city, has a unique and varied ambiance and style. Many travellers will visit here on a trip to the country to experience the vibrant and beautiful architecture. 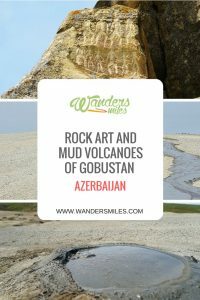 However 65km away, a mere hour’s drive along the Caspian coast, lies Gobustan National Park with rock art and mud volcanoes, a day trip that just can’t be missed. Gobustan is astonishing. You will find there a vista of craters, slowly oozing mud, miniature volcanoes and arid black earth which cracks before your eyes. Alighting from the bus is like stepping off a space-craft onto another planet. This area, just west of a small town, was given the status of a National Historical Landmark in 1966 and declared a UNESCO site in 2007. These titles give protection to the thousand upon thousand of exquisitely preserved and detailed ancient carvings, the natural phenomenon of the mud volcanoes and the archeological evidence and relics of settlement dating back to the end of the last ice age. The Petroglyphs found at Gobustan and the brilliant museum which explain them are the main reason that travellers visit the site. These pictures and symbols carved into rock with crude tools, depict life as it was when they were created and show the development of human thinking over many thousands of years. Some petroglyphs are 40,000 years old and are arguably the most comprehensive examples of early human history in the world. Gazing in awe upon the depictions of animals, people, tools and weapons is breathtaking when you realise that you are reading the story of ancient life ‘written’ by the hands of people actually living it. Make sure you visit the Nature Museum in the National Park to fully understand the huge impact the rock art has had on what we know about ourselves as humans. There are only a thousand known mud volcanoes in the world, four hundred of them are in the Gobustan area of Azerbaijan. Mud volcanoes are formed, not by magma, but by pockets of underground gas. When the gas finds a weak spot in the earth it pushes soil, sediment rock and mud up and out to form what is also known as a sedimentary volcano. The majority of mud volcanoes are small and sit happily burping, belching and gurgling mud out onto the parched earth creating bizarre patterns as it dries. They are fascinating….weird, slightly disgusting but satisfying to watch. You could take advantage of the mythical healing, beautifying properties of the mud by giving yourself a messy face mask of sludge. Ugh, not for me! These pulsating, gooey hills are fun but also show just how rich in natural resources the country is. The gas which causes the mud to ooze is also what is making the country an awful lot of money. Fly Dubai have regular flights from Dubai International Airport but other airlines such as Emirates, Lufthansa and Etihad fly from various destinations around the world. Gobustan is an hour’s drive along the coast from Baku and has good transport links due to the local town. A taxi from Baku is an option but is expensive and organising a return journey is difficult. 4×4 Jeep tours are fun and exhilarating and can be easily arranged from Baku and are particularly good if getting in amongst the volcanoes is your focus. Do be aware though that National Park status has led to protective limits on how close you can get to the volcanoes. Bus travel is probably the most cost-effective way of getting to Gobustan. There are many options available out of Baku and it’s a good idea to do a bit of research to make sure the guide is knowledgable as this will make your day so much more enjoyable. The town of Gobustan is small and largely residential. Most visitors will choose to travel to and from Baku for the day. Baku is a heady mix of the ancient old city, Dubai inspired tower blocks and elegant architecture indicative of its’ history as the Persian capital. You won’t regret choosing to stay and explore for a few days. 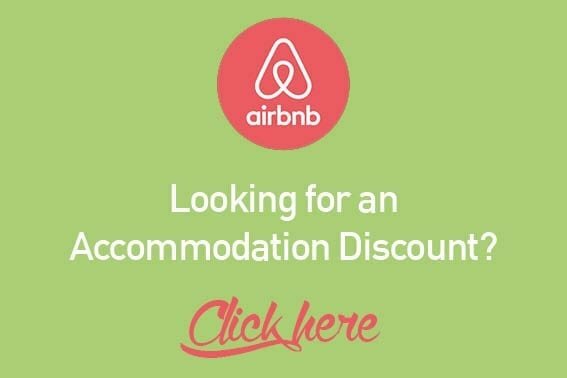 Cheeky Carabao Backpackers Hostel is owned by a Canadian and Azerbaijani couple of adventure travellers, they offer the perfect combination of social, party and relaxation atmosphere in the heart of downtown Baku. Boutique 19 Hotel is located in Baku, within 200 metres of Maiden Tower and 400 metres of Muhammad Mosque, Boutique 19 Hotel provides accommodation with a shared lounge. Sultan Inn Boutique Hotel is located next to the Maiden’s Tower in the heart of Baku’s Old City, this elegant 5-star hotel offers unique décor, a traditional Azerbaijan restaurant with garden terrace, and free Wi-Fi.